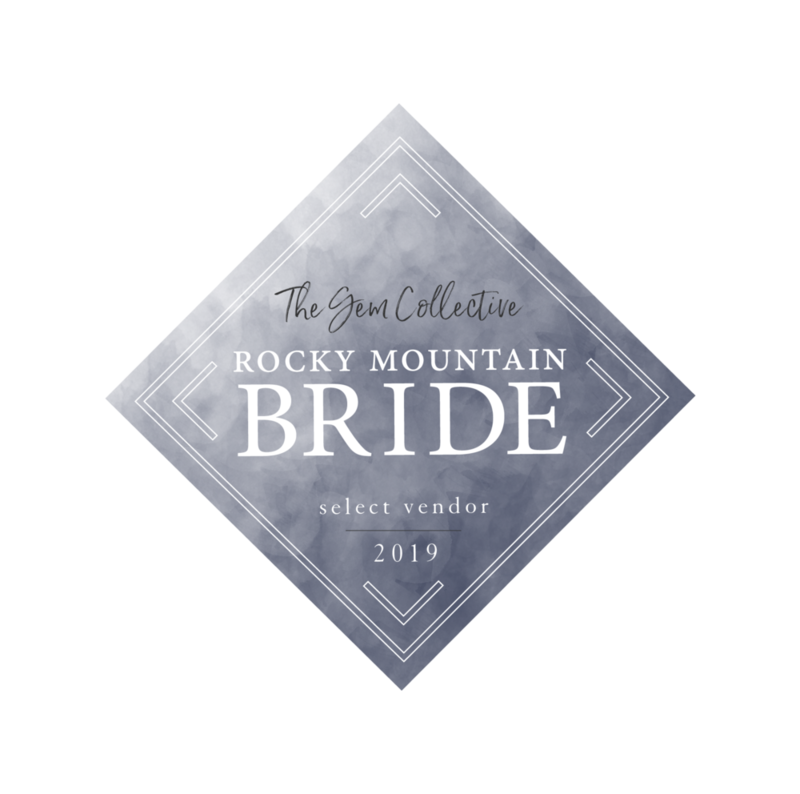 It's not every day that we have the opportunity to share a real life fairytale on the blog so today is a very special day! 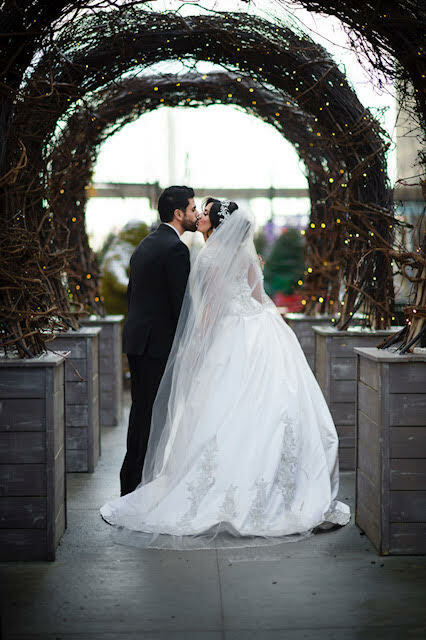 Behold the extremely lovely and might we add smitten, Omar + Manal. Have you ever seen a more picture perfect couple? We haven't either! And what is one of our all time favorite details about this wedding you ask? Well obviously aside from all the love, the gorgeous couple and some of the most ravishing details we have seen make a debut at a wedding thus far... we would have to say that one of our favorite details is our old friend, the bodacious babe of a color, Burgundy. If you missed our love letter slash blog post about this lovely shade, have no fear, just click HERE! We absolutely love how this couple tied this classy color into their big day especially via the paper. 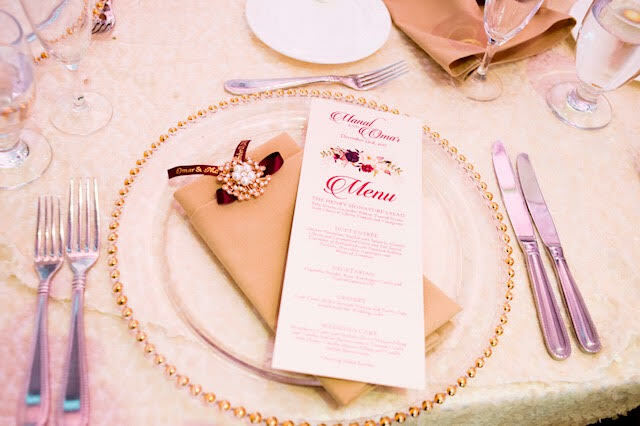 We also really loved the juxtaposition between the light, opulent, shimmer cardstock and the bold, beautiful burgundy + blush rose adornments. Have we mentioned lately that we LOVE to print pretty menus & paper products? Because we certainly do! Check out their gorgeous invite, we love how it led to so much inspiration throughout the decor! 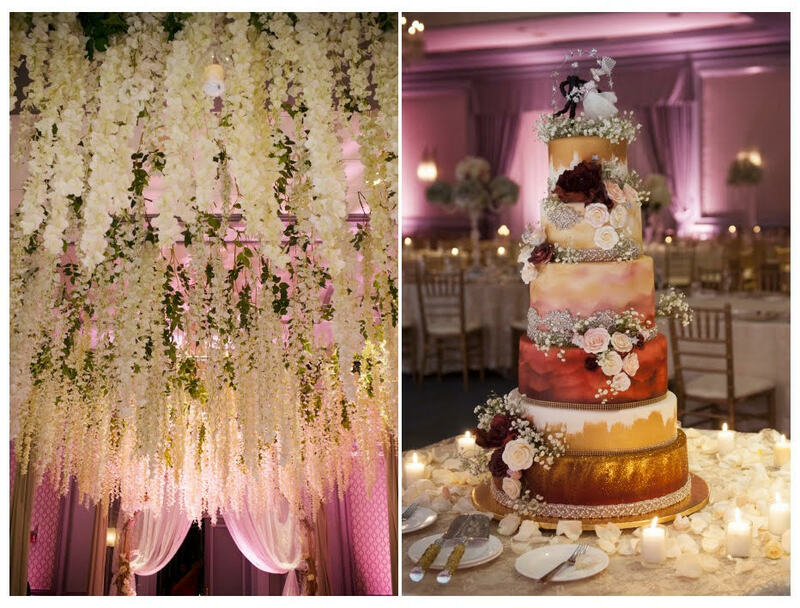 Ok TBH, hanging florals is one of our all time favorite details... hands down AND not to mention...IS THIS CAKE REAL LIFE!? WOW! So beyond. Major #squadgoals... Such lovely ladies! 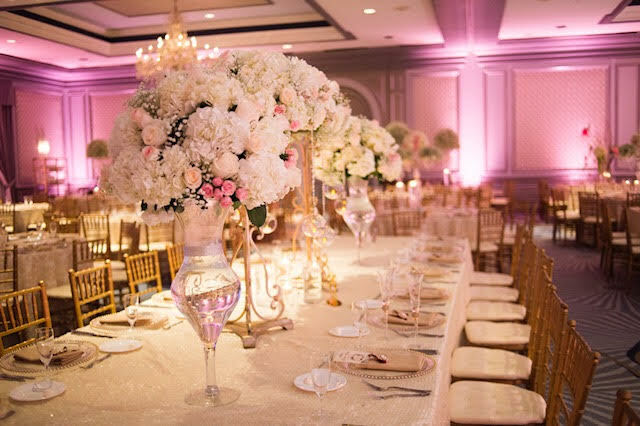 Omar + Manal, we are so impressed and in awe of your celebration. We hope that it was a day filled with laughter + love and knowing you both, we are sure it was. Thank you for letting us take part in this adventure!